An event on “Water and Crisis in the Middle East” on 20 February at KfW's Berlin office was attended by around 50 guests from the realms of politics, academia, civil society as well as development cooperation professionals. The Middle East region exemplifies the complex relationships between the water sector and various crises and challenges. The Federal Ministry for Economic Cooperation and Development has addressed the various aspects of the role of water in the development process in its “BMZ Strategy for Interlinkages between Water, Displacement and Migration”. Conflicts about water continues to increase. This makes it all the more important to undertake countermeasures now. The German contribution of “Equitable distribution of water resources is indispensable for peace in the region. German DC also works in the water sector in countries that are difficult to access at present. Lamis Al-Iryani, head of the evaluation unit in the Yemeni non-governmental Social Fund for Development (#SFDYemen), had a very impressive film with her, recently shot in two provinces. In the village of Alamour in #Taiz province, 240 cisterns have been built with KfW funds to collect rainwater. This created jobs for nearly 1,200 workers, but above all it made the lives of women and girls easier. They used to have to fetch water in impassable terrain for several hours every day – for cooking and washing, but also as drinking water for the animals. Girls now have time for school and women can devote themselves to their children and farming. 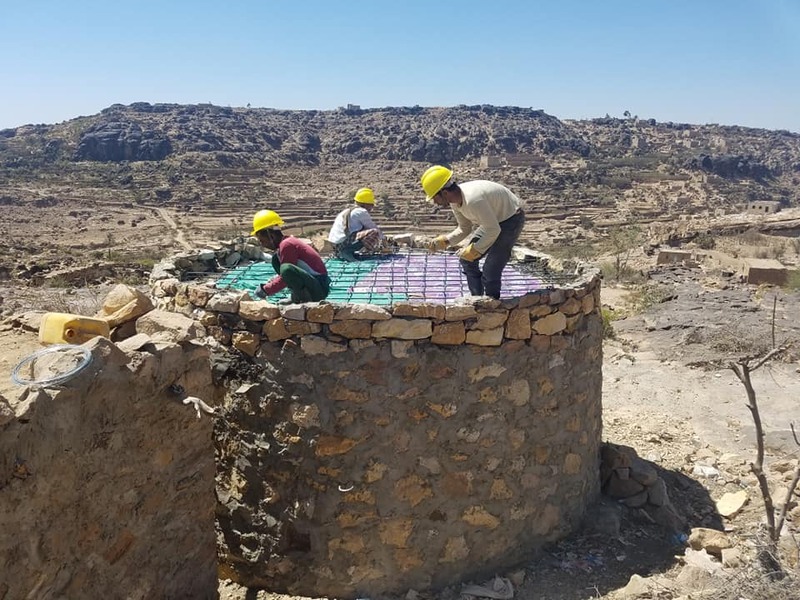 In the southern province of #Abyan, the infrastructure for water supply and wastewater disposal was almost completely destroyed in the armed conflicts. With the help of SFD, pipes, pumps, administrative buildings and water reservoirs were built or rehabilitated – residents now have access to affordable water. This security of supply motivates #IDPs to return to their home communities. And a job means more than income for just the next few weeks: it is hope for the future.